In Polish terminology of names and coat of arms, the unusual happening can be noticed, the presence of Prus name, that nearly 700 years remains and remains without comments. So far unnoticed, the most of their holders at the question where from it arrived and no answer is given. This is a unique phenomenon, that in the Polish culture different ethnic group, for nearly seven centuries has been established, and their identity clearly emphasized, through the use of their names, thus specifying their origin. How did this happen and why Prusai (read: people bearing the name of Prus and its derivatives) did not change the name to the Polish alike? This phenomenon did not live so far for the solid analysis development, comment on its existence and uniqueness, probably on a global scale - of a destroyed, exterminated people, and commonly use their coat of arms and the name. Until now, it was not possible to take any action in the direction of the rebirth of the nation, the Prusai awareness, the highlights of their culture and the true history of this people. This opportunity occurred in the age of technological progress, the prevalence of the internet and thanks to that - the knowledge of the Prusai was made available, as before completely unknown. Writing about Prusai people their Prus name (and derivatives), the readers consciousness arrives to them in a different ways - most of them are characterized with the snobbery, it gives them the knowledge in a sense of the ennoblement - after all, become a "heraldic". The above statement is not entirely consistent with the truth, because the possession of the Prus coat of arms, only then when emphasizing belonging to the identity of Prusai, becomes the value, otherwise means nothing, though still, stirs up others their general thoughts and sensation: where, what, what it is and what kind of Prusai? However, among all, there is only one consciousness, I am a Pole. When asked, who is a Pole, follows a complete silence and it means something. Those who knew, unfortunately, in the name of Polish patriotism perished in the fight against the occupiers, in the Warsaw Uprising, and yet on many other fronts, or left the country. They knew why they are Poles and were able to determine not only their national identity, but also characteristic values of this nation. 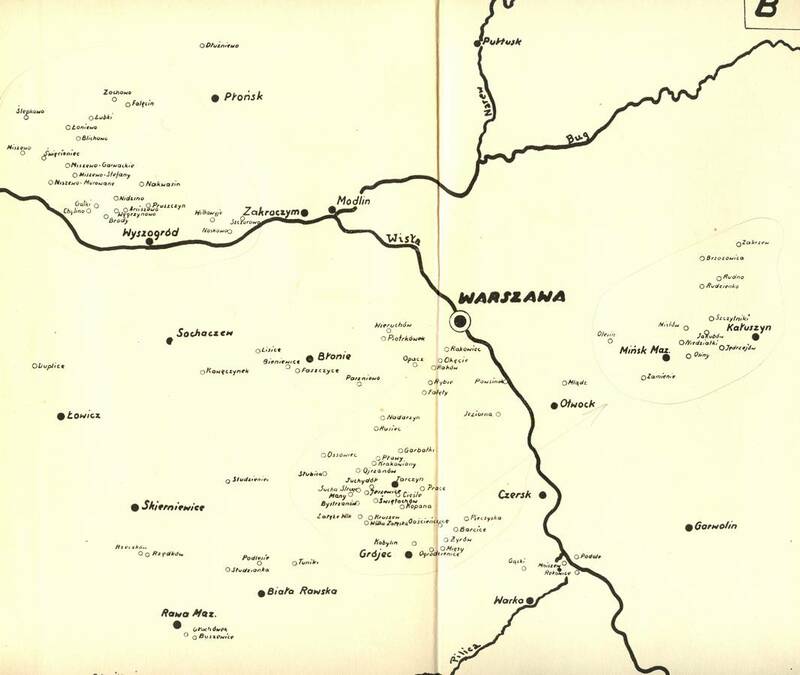 Poland to Prusai people for its centuries-liberalism has been the mainstay of biological survival, in the Polish melting pot of many nations the Prusai have survived. 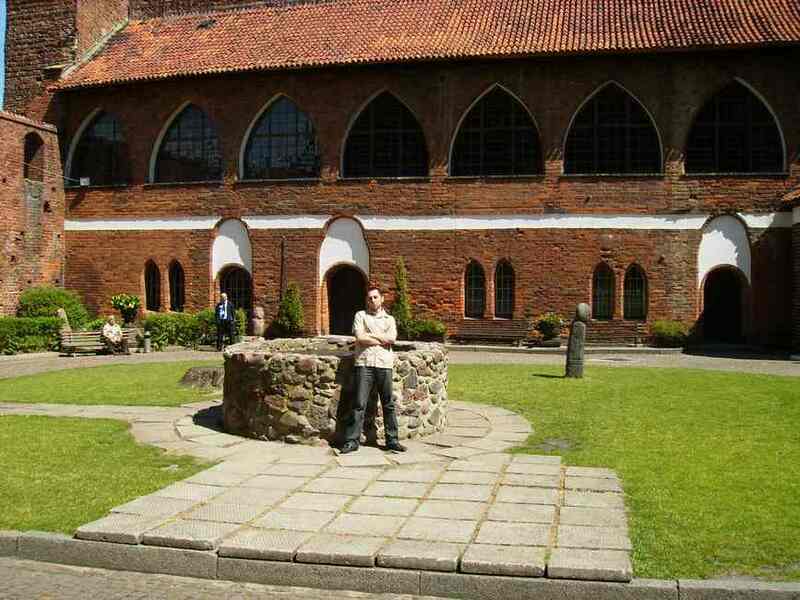 We belong to the area of the Polish culture, which throughout the ages - we Prusai - defended, and more. We have, in this our own tribute. In contemporary Poland, and more, we can meet a lot of great personalities of the Prusai origin, in sports, business, finance, science, art, and every area of social life. We are in this multiethnic melting pot together with other Polish citizens, but like other nations we also need to emphasize our Prusai identity. Today the multiculturalism is the norm. 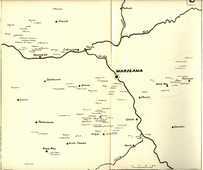 The question remains, why the other nations signaled their presence with identity - and we Prusai are not. Do not want, or maybe embarrassed - just of what? 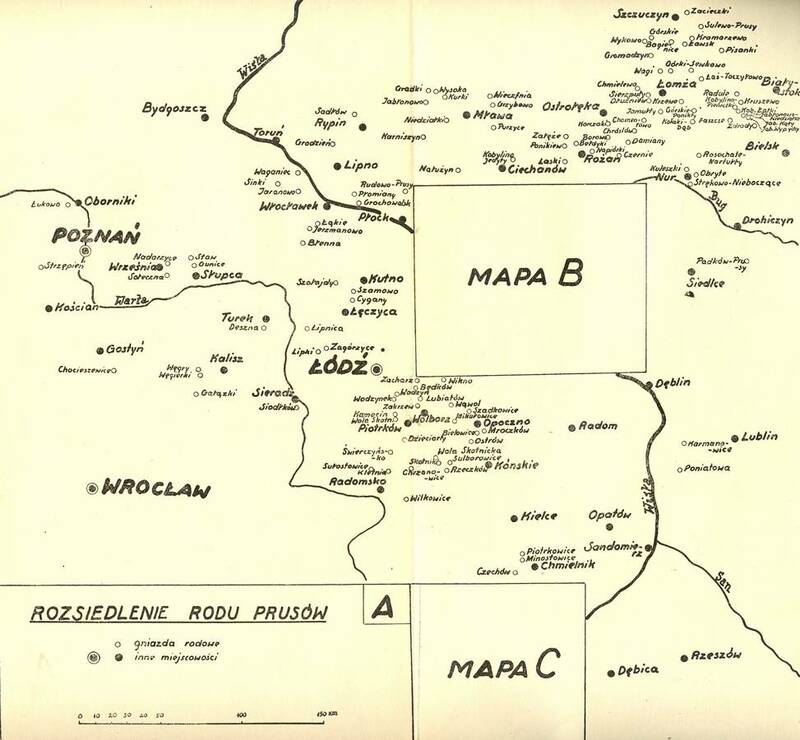 The history of Prusai people, their culture is older than Polish Slavs, by only a minimum of a thousand years, and the Prusai themselves were well known to the ancient historians and of their ancient trade routes of the world. It's all not enough, the current Europe talks about democracy, the 800-et years ago the conquest of Prusai land, with that was destroyed the second in the history, after Greece, democracy in Europe - the real one and the ideal, simply because without the bureaucracy and corruption. The principal values for all the Prusai were, responsibility, family and freedom - and that is why they never stayed behind when it came to defend the Polish independence. There were no beggars among the Prusai. Prusai had their law - unwritten, but more real than the present written in Polish - because everyone was treated equally. They did not know and did not use the immunities. They did not need Ministry of Justice or judges or courts of the bureaucracy, corruption and administration - but justice was present. At the meetings the Prusai was always with his wife, the man bears a double penalty for beating a woman. The people worked hard, there were a lot of beliefs, for each was a celebration. Is this not a proof of their great wealth of spiritual culture? 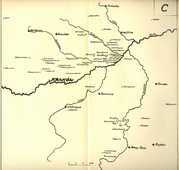 The Prusai were the wealthiest people in their part of Europe. 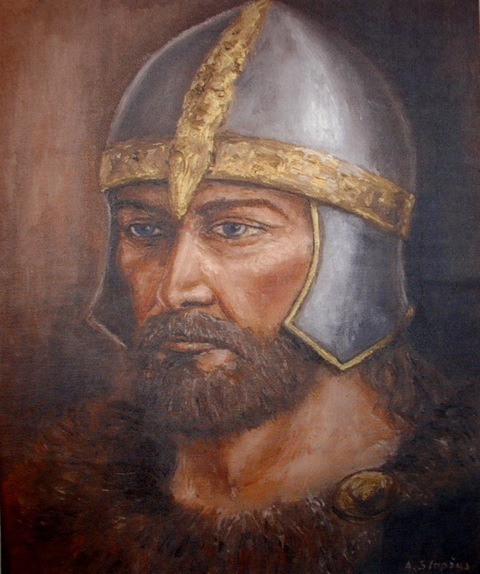 Everyone wanted their loot - Russians from the east, from the north - the Vikings, from the south - the Poles, from the west - all of the rest of Europe solidarity. What is today's "heraldic", titular nobility, outside formalities do they know, that all the Prusai, and not only those with the Prus coat of arms were nobility? They all were free men, not only those of them, who managed the definition of the Prus coat of arms and namings, belonging to Prus. We regret to say that, turning several times to the descendants of the Prus coat of arms, for the help in revival of the Prusai culture, remains silence - this is the modern world of nobility and honor. 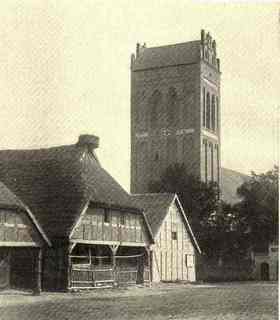 The pre Teutonic Prusai did not need the money - they were self-sufficient, because enough was what gave them life - enough, because they could use the gifts of the nature. A gave (and now also gives) enough to then-Prusai, average age was about 10 years longer than the rest of the Europeans. Foreign money were in their possession, but did not use them. how much of the nobility writes the Prus. " . 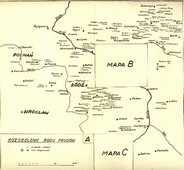 Every other inhabitant of northern Mazovia and Kujawy is a descendant of Prusai. Mazury, defined population (ie - otherwise Polish settlers in the Germanic Prussia) - are mostly already Polonized Prusai. 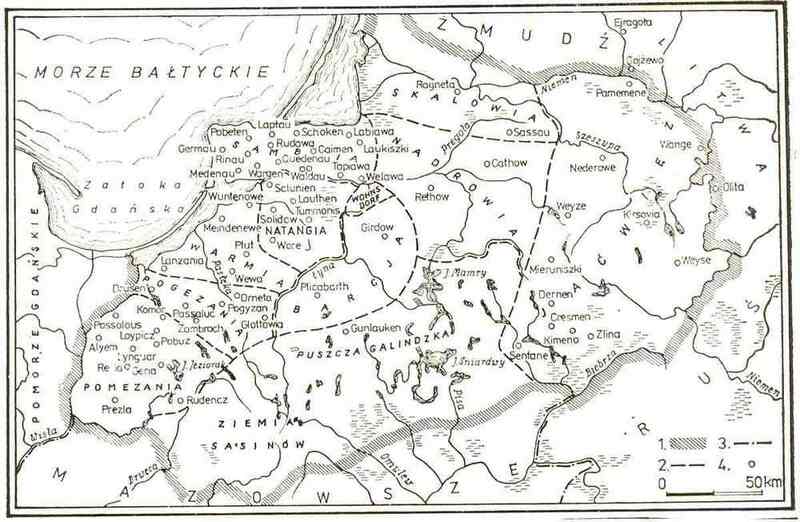 This little nation to escape the tyranny of Germanic murderers and seeking shelter, obtained asylum and acceptance of ethnic diversity within the Polish Kingdom and Lithuania, as in contrary were slaves on their land occupied by Germans. The proof of this acceptance is to remain with the determination of their ethnic origin. 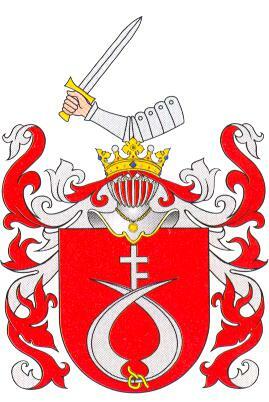 On the one hand, this is the name of Prus, on the other hand the adoption of Polish names - in coats of arms of Prus. A similar phenomenon was not found in any other country, and certainly not in Germany, where up today the Germanization is on time. you acknowledge it as your homeland - you're Prusai. . 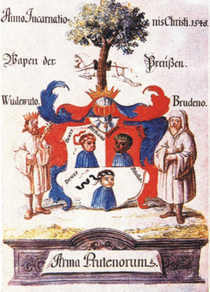 Representatives of the Prus coat of arms as well as the Prus name are divided territorially and form separate groups at birth without blood ties. There can therefore be no question that seven centuries ago, it was a conspiracy, the assimilated affiliation, or establishment of common goals or objectives. emphasize their tragedy of history." . Finally, remember that the intention which is hidden in all the Prusai struggles is one: putting back the memory of Prusai in Europe, in other words, the revival of their culture and their true history. 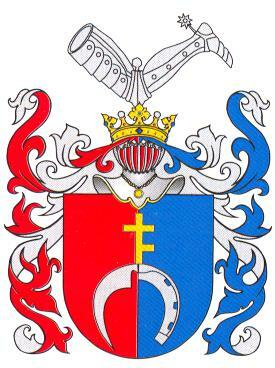 The heraldic Prusai nobility setting, a great help the work by Hedwig Chwalibińska "Rod Prusow w wiekach srednich" in regard to the PRUS coat of arms. Citing part of this work by Hedwig Chwalibińska. 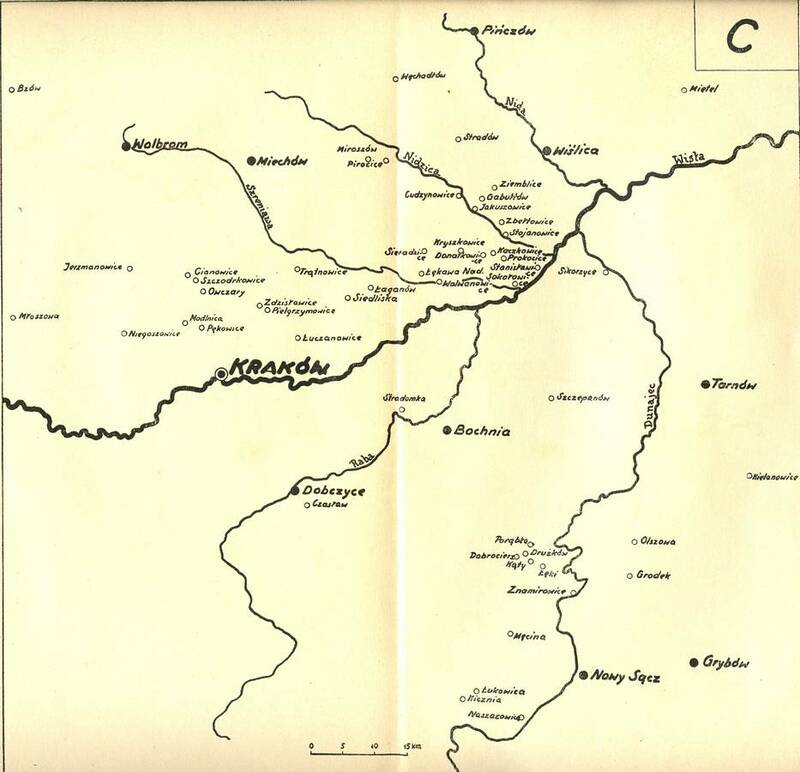 "Becoming more and more frequent publication of records of the court and heraldic from Mazovia showed that immense mass of minor nobility, Mazovian knights meet with foreign names who sued a noble origin, or accosted in their laws of chivalry, some referred to the iura Prussorum. Describes it as a jus Pruthenicum, Prussitharum jus, jus Pruschow Prusskye law, and they called themselves Prusovye, Prussia, Pruschy, Pruteni ". It may be a while, that time will come for the Prusai, when their descendants will be able to honor and feast the memory of their ancestors, but resurrected the ancient Greeks, the Spartans and the Athenians will not only applaud, but also will bow their heads for Prusai bravery in the defense of humanity. The time heals all wounds, the memory is blurred, but in the end the truth always comes out on top - demons are raging, but God always has the last word. 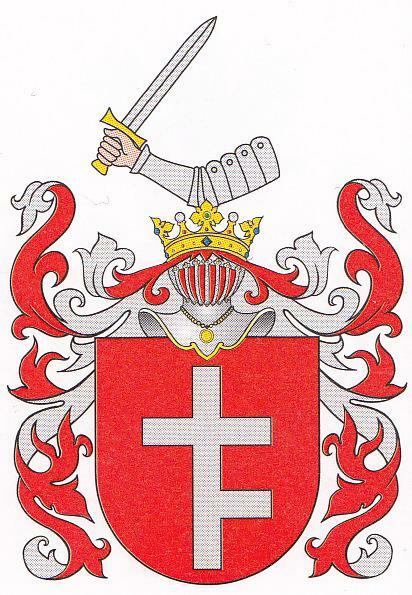 LIST of NAMES BELONGING TO COAT of ARMES "PRUS"
Husarzewski, nob 1676, herb odm. Isajkowski-Dołmat vel Izaykowski, gn. Isajki, woj. kijowskie, herb odm. Lisowski, woj. krakowskie, herb odm. Miłkowski, gn. Miłkowa Wielka, nob. 1782, herb odm. Stradomski, gn. Stradomka, woj. krakowskie, herb odm. Wolski, woj. krakowskie, herb odm. Chłopicki, gn. Chł opice, woj. bełzkie, herb odm. 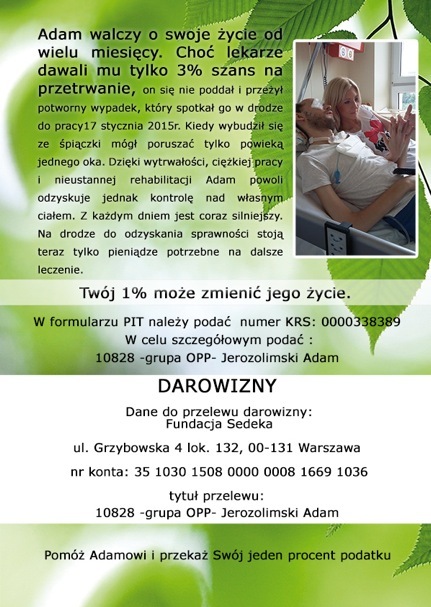 Dawidowski, gn. Dawidów, woj. ruskie, herb odm. Głuchowski-Gleich, gn. Głuchowo, woj. cheł miń skie, herb odm. Jezierski, gn. Jezierzyce, woj. rawskie, herb odm. Olszowski, gn. Olszowa, woj. łęczyckie, herb odm. 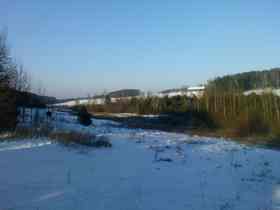 Czarnecki, gn. Czarnocin, woj. krakowskie, herb odm. Glaznocki vel Głaznocki, gn. Glaznoty, woj. chełmińskie, herb odm.